Boulder, Colorado is a bustling little town in the Front Range of Colorado. 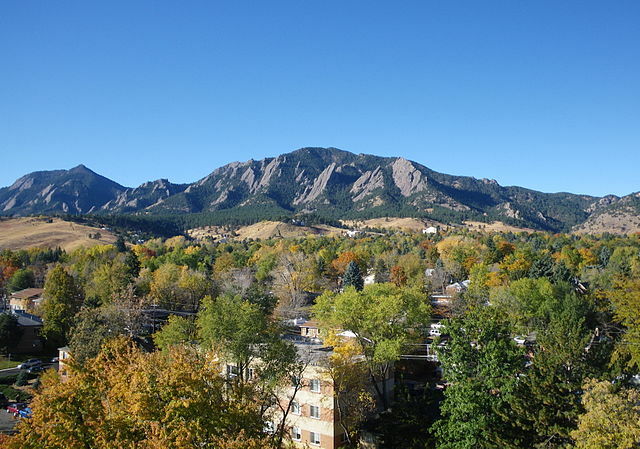 Located where the High Plains and the Rockies meet, it has many outdoor opportunities, an active social scene, is the home CU Boulder and is very close to Denver if some larger city amenities are desired. Boulder has many outdoor opportunities for hiking, climbing , trail running and other outdoor activities. Hiking? ProTrails.com has many excellent local hikes in both Boulder itself, the nearby Indian Peaks wilderness area and Rocky Mountain National Park. Want to try climbing? Boulder is a very well known climbing destination. Eldorado Canyon is a climber’s delight as is nearby Boulder Canyon. Sport and trad climbing are available. Of course, no mention of climbing is complete without acknowledging the iconic Flatirons that form the backdrop of Boulder. Trail Running is also very popular in Boulder. Though any single track trail is just fine for running, the Mesa Trail is consistently ranked as one of the best in the United States. Skiing is a popular winter activity. The nearby Eldora ski area is a local’s favorite that is less than an hour away and is easily accessible by bus. Prefer cross-country? Eldora has a groomed Nordic system as well. Prefer the backcountry? The Hidden Valley area in Rocky Mountain National Park is a good introduction to “earning your turns” being an old ski area. If you enjoy a backcountry Nordic experience, the nearby Brainard Lake Recreation Area has an excellent, if busy, network of trails. Need some ski equipment? 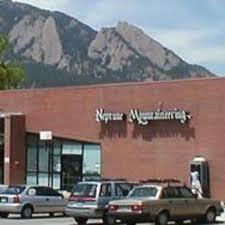 Neptune Mountaineering is an excellent store that provides ski rentals. The Boulder REI will rent snowshoes. Eldora also rents alpine ski equipment on-site. If you enjoy bicycling, Boulder has an excellent network of bike trails that can take you all over the town. Prefer mountain biking? The southern and eastern parts of town offers some terrain that is suitable as well as nearby open spaces. There are many places in town to rent bikes. Need a bike just for a little while? Bike rental kiosks are located throughout town. Want to try backpacking? These loops should whet the appetite. Finally, Boulder has some excellent kayaking opportunities esp during the spring. If the weather’s not cooperating, or you want some indoor time, here are some other activities that will be enjoyable…. There are also various public and private rec centers where one can do a traditional gym workout, take a swim or participate in some classes such as yoga. Being the home of CU-Boulder, there are many events happening throughout the year including some on-campus museums for art and natural history. The Colorado Shakespeare Festival is esp. wonderful to see. In town on a Friday night and want to do something different? The CU-Boulder Observatory is open to the public. The attached Fiske Planetarium will always have interesting shows, too. The Boulder Museum of Contemporary Art is downtown, next to the Dashanbe Teahouse (mentioned in dining options) and is worth a look. Want to see some iconic western art? Go to the Leanin’ Tree Museum of Western Art. The local cinema is also a rainy day favorite. The main branch of the Boulder Public Library is a good destination in its own right. An architecturally interesting building along Boulder Creek with free WiFi, lots of books and periodicals, events always happening and an art gallery with interesting exhibits. The recently re-opened coffee shop located on-site is a good place to read a book with a hot drink, look over Boulder Creek and enjoy the scenery. Finally, Denver is an easy one-hour bus ride away (see below for Getting Around Town options) with all the amenities of a larger city. The Pearl Street pedestrian mall is well worth a stroll for the shops and the ambience. See street performers, some other live performances and festivals, too! The Boulder Chautauqua is a historic area with fine views, a great place for a picnic and still hosts many talks and shows. The National Center for Atmospheric Research (NCAR), besides being a trailhead for some great local hikes, has a really great (and free) museum inside. Here during the summer and fall? Check out the Boulder Farmer’s Marketconveniently located downtown. Prefer to walk on your tour? Boulder Walking Tours will do quite nicely. Neptune Mountaineering: Arguably one of the premier climbing, backcountry skiing and mountaineering stores in North America. Excellent selection of high-end gear for most backcountry activities and a very knowledgable staff. Check out the free climbing/skiing museum in-store! Boulder REI – Everyone’s favorite corporate outdoor store.  ‘Nuff Said. Need the basics or last minute items such as fuel canisters or other misc supplies? Sports Authority is a “big box” store in town that is perfect for those types of items. Not an outdoor store per se, but the local and family owned since 1955McGuckin’s Hardware is well worth a stop with many different items for sale including outdoor gear, clothing and supplies. Dogs welcome! Finally, check out the Boulder Map Gallery for all your map needs! Conveniently located near Neptune Mountaineering. Need some equipment to rent? As mentioned, Neptune Mountaineering provides ski rentals. and theBoulder REI will rent snowshoes. For your bicycling needs, there are many places in town to rent bikes. Need a bike just for a little while? Bike rental kiosks are located throughout town. There is a plethora of lodging options in Boulder from chain hotels to luxury places to B&Bs. For some historic Victorian-era lodging, try the Boulderado. If you are willing to drive or take the bus about ten minutes away, just off the highway in nearby Louisville, CO is some less expensive chain moteloptions. Just outside of town, there is the Boulder Adventure Lodge geared towards outdoor enthusiasts with a shuttle service available. Of course, Air BnB is always an option, too. Prefer camping? While there is no camping in Boulder proper, this map shows commercial, public and dispersed camping options throughout Boulder county and nearby. This map shows a few other ones as well. 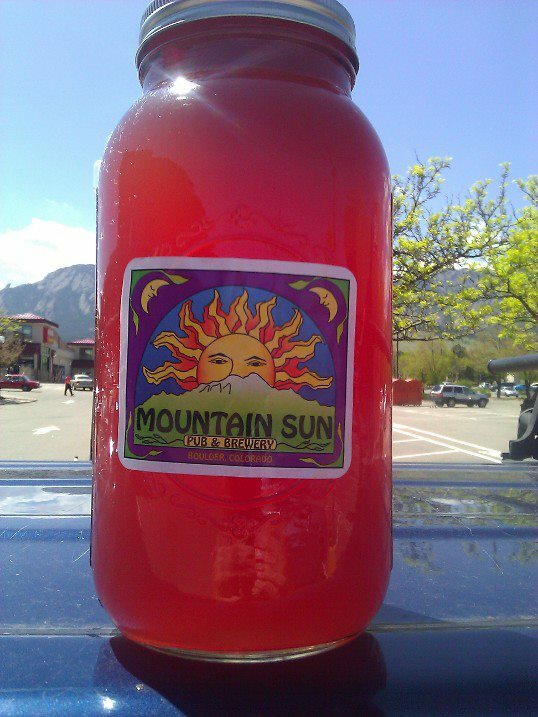 A growler of Blackberry Wheat from the Southern Sun..perfect for a warm spring day! Boulder has many dining options esp for such a relatively small city. If you are a craft beer enthusiast, Boulder is one of the beer meccas in this country! Many to choose from. One of my perennial favorites is the Southern Sun. Right next to Neptune Mountaineering, it features excellent “pub grub”, beer crafted on-site and a lively atmosphere. Please note this place accepts CASH ONLY. Want more of the gastropub experience? The Kitchen Next Door will work for those who enjoy craft beer. The Kitchen (original restaurant) itself is known for its farm-to-table fare. The Boulder Dushanbe Teahouse has a diverse menu and is located along Boulder Creek in the downtown area. The building is unique both inside and out and is almost a work of art. Crafted in Dushanbe, Tajikistan as a gift to Boulder, Colorado and then reassembled in town , it is a place well worth seeing. Like your sports? Want a burger and a beer? The Lazy Dog is a no-frills sports bar in downtown Boulder that is a great place to catch the game. Sherpa’s is an excellent Nepali/Indian restaurant in an old Victorian-era house in the downtown area. The restaurant is owned by Pemba Sherpa..a well-known climber and actual Sherpa…hence the name! Want something quick and fairly cheap? Illegal Pete’s Pearl Street locationserves a yummy overstuffed burrito with beer on tap. Great place to people watch and soak in the ambiance of downtown Boulder. Prefer a hearty breakfast? The Southside Walnut Cafe delivers. Plenty ofcoffee shops in Boulder as well if you prefer lighter breakfast fare or just want to sit and relax with a good book. In a highly connected town with many technically savvy people, Uber makes a great option. 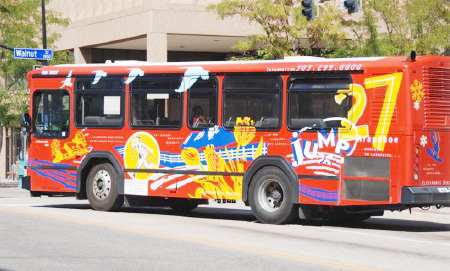 The Boulder RTD routes make a good public transit system with many and frequent bus routes. The previously mentioned bike kiosks are often near the bus tops as well. The RTD routes also makes it easy to get to Denver and the airport as well. Want to explore the backcountry options near Boulder but don’t have a car?This article should help. 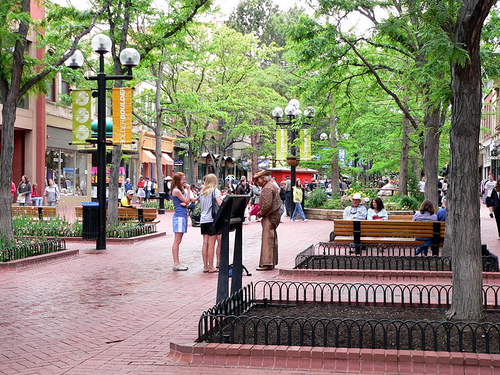 Boulder, Colorado is a great outdoor town to plan a visit. Hopefully this humble guide will help you plan out your trip and savor a bit of what Boulder has to offer! This little list just scratches the surface and has some picks I know reasonably well. 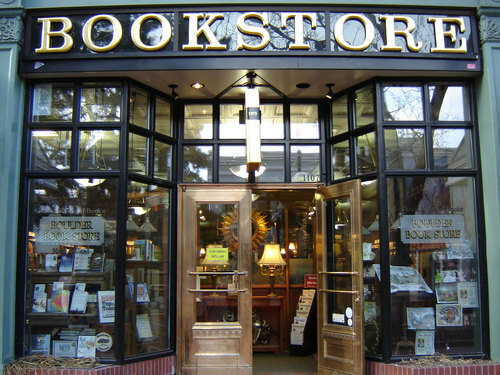 Check out this site for an extensive directory of things to do in Boulder, CO as well as other resources available. London, Tokyo, Stockholm and onwards! Liked this Outdoor Guide to Boulder, but you’re more likely to visit Stockholm, Tokyo and San Francisco next? Well, you’re in luck! Direct your browser to the Outdoor Guide Directory and check out the other Guides from across the globe! Next → Next post: Cotton kills? My pleasure! I think people will find this article useful.